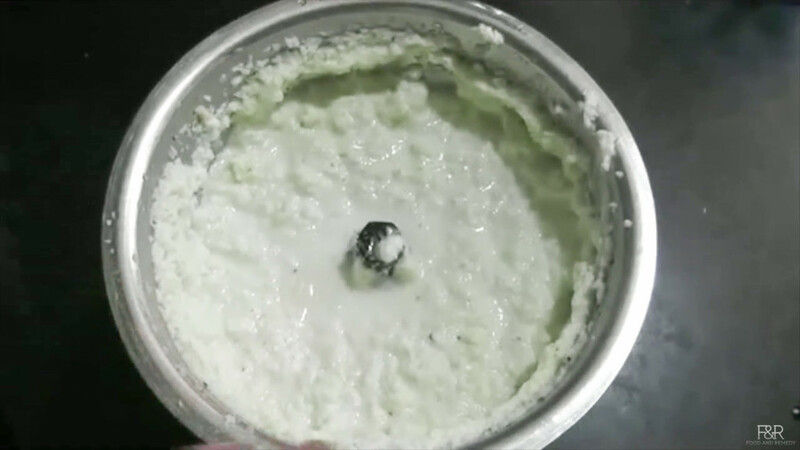 There are many ways we can prepare the coconut chutney. 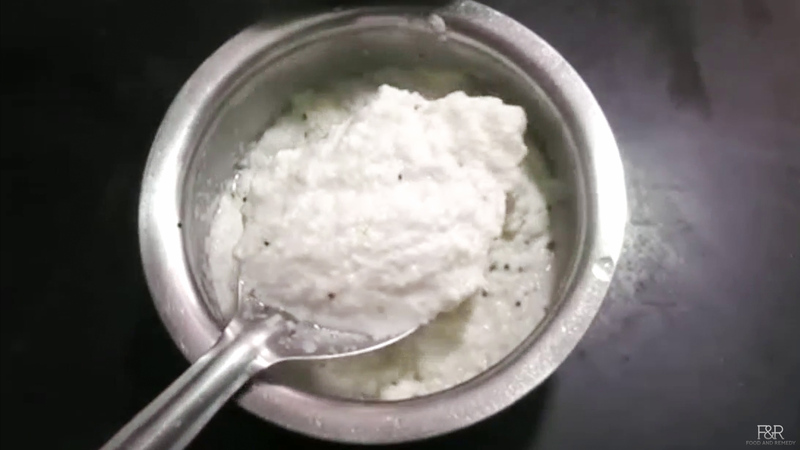 Coconut chutney is part and parcel of south indian families, for every breakfast goes well with this chutney. 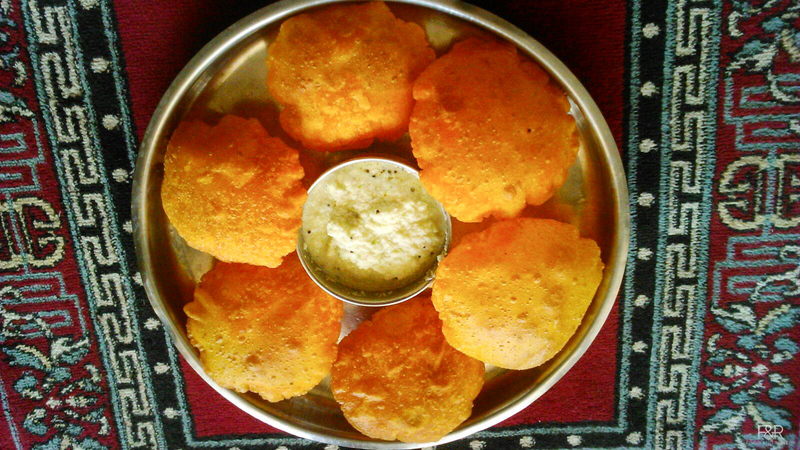 Our todays chutney is traditionally prepared as a side dish to the rice poori/akki poori . For this chutney we don’t add tamarind or even coriander leaves. It is very simple to make yet so delicious. 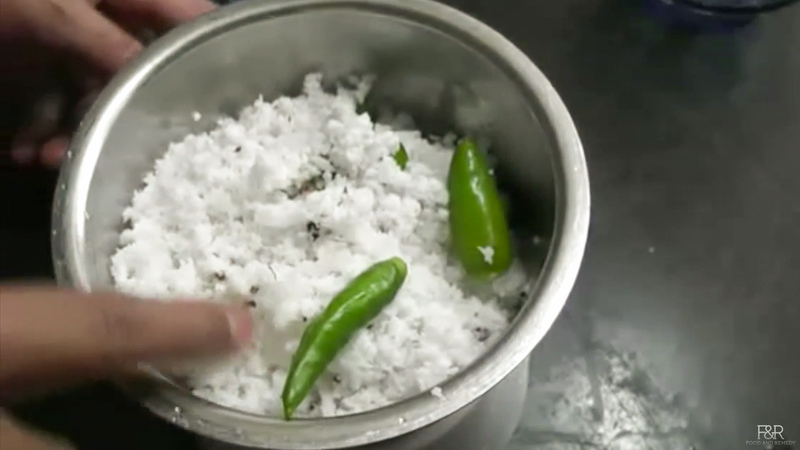 Here is the step by step instructions to make "Coconut Chutney"
Grind coconut, chillies along with salt and little water to a coarse consistency. Add the prepared seasoning to the chutney, mix it well. Enjoy this coconut chutney with Rice poori. Do not use hing/asafoetida for a Gluten Free version of this chutney.